Bambrella Santa Ana 2.0m Square Spuncrylic Parasol: This superb quality parasol has luxury Spuncrylic fabric on a strong and durable aluminium frame. 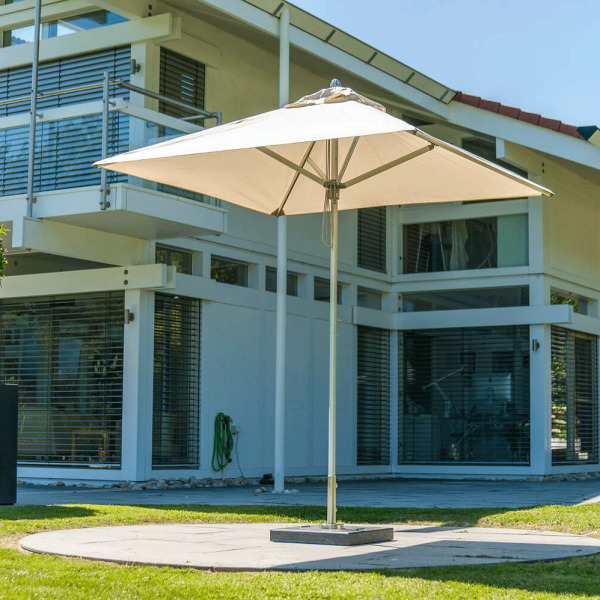 The parasol is light and easy to move to different locations as the pole comes in 2 pieces. This parasol will withstand winds of up to 90kmph when used with the correct base. The posts and ribs are aluminium for a long lasting and rust free finish and the hub and runner are made from marine grade nylon to ensure quality and longevity. This Santa Ana parasol is available in 10 stunning and bright colours so you can truly make a statement in your outdoor space.